If you looking for a taxi, call the experts AtoB Delta Established since 1991 we are one of the biggest and busiest taxi companies in St.Helens. With 2 offices in the town centre, both of which are operated by highly professional and dedicated members of staff, we can deal with all your travel needs. Each of our offices has the latest computerised booking and dispatching system which is equipped with Satellite Navigation. We offer a free ringback and textback service which alerts you when your vehicle has arrived. Giving you a fast and efficient service. All of our drivers have passed the Road Passengers Vehicle Driving NVQ Level 2 examination and are CRB checked. All our vehicles are M.O.T. tested by St.Helens Council examiners every 6 months, therefore ensuring safety to the customer at all times. With over 140 4 seater vehicles 5, 6 & 8 seater minibuses and wheelchair accessible vehicles we are able to supply a vehicle that suits your needs. The New Me Clinic is new to Rainford Village. Owned by Helen black. 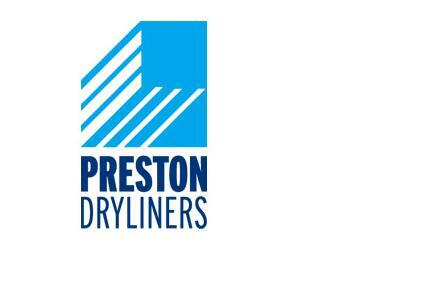 Preston Dryliners has seen its client base extended from local builders to some of the North West's largest main contractors, multi-national construction companies and house builders. The company carries out work ranging in value from £1,000 to £1.2m, on various new build and refurbishment contracts including (but not limited to) the following sectors: • Prestigious Housing & Apartment Developments • Social Housing Developments • Retails Stores / Outlets • Hotels, Bars & Restaurants • Pre-school Children's Centres • Primary & Secondary Schools • Colleges & Universities • Office Developments • Care / Retirements Homes • Hospital & Primary Care Preston Dryliners takes pride in its work and makes sure that any plastering contract is completed to the highest possible standard. Customers across Preston, Lancashire and the North West have already received outstanding and professional jobs and you can too. We now also have new Commercial, Preston Dryliners (Commercial) Ltd and Residential, Preston Dryliners (Residential) Ltd trading divisions. Contact Preston Dryliners today for a no obligation survey and quotation. For a long time STILL has been one of the leading suppliers of forklift trucks, platform trucks and tractors plus the latest Intralogistics systems. With more than 7,000 employees, 4 production plants, 14 dealerships in Germany, 20 subsidiary companies abroad, plus a dealer network consisting of 246 dealers worldwide, STILL is successfully active on an international scale. With the highest quality, reliability and innovative technology, STILL is meeting, today and in the future, the requirements of small, medium and large companies. Marketing - at your service Whitewater Communications is a small, friendly, full service agency that has gone from strength to strength in the past few years and is continuing to grow. Why? Our clients tell us they keep coming back because we really listen, we understand their business objectives and we always do what we promise - without fail. As a business professional you know the importance of working with the right people. You work hard, you are proud of your business and your brand values - so are we. We take the hassle out of projects, acting as an extension of our clients' marketing teams, always keeping the companies' best interests at heart. We are their brand guardians and we give excellent service without breaking the bank. We are friendly, professional, experienced and approachable. But what comes across the most is the fact that we love our job! We are a family run business with vast experience and knowledge of the roofing industry. We consider ourselves market leaders with our flat roof systems, our slating and tiling is second to none, we react to emergency roofing repairs and emergency situations at height with our cherry pickers, whilst we work with some of the biggest clients in the UK to residential properties. We can offer to assist with all aspects of roofing, including, slating, tiling, flat roofing and liquid plastics. We are Marley(IKO) & Bauder approved contractors, as well as SIKA and Polyroof approved. We also have Safe Contractor, CHAS, Construction Line & Fair Trades accreditations. All staff are fully qualified, insured and trained for working at height. We have a retained health and safety advisor. We currently represent a number of organizations, from building companies, archdiocese, housing associations, breweries, property management companies, retail outlets, student accommodation halls of residence to fire & flood response companies. We cover Merseyside, Greater Manchester, Wirral, Cheshire, Lancashire, West Yorkshire & North Wales, however, we do work further afield when required. What sets us apart from our competitors is we have our own truck mounted cherry pickers, which we can dispatch to reactive call outs. With the cherry pickers we are cheaper than other companies that rely on scaffolding as we can move the machine to multiple elevations on the building we are repairing or even multiple properties throughout the duration of the hire. We at Myers Roofing will beat any genuine quotation obtained, GUARANTEED! Tyrecare (St Helens) Ltd has been established since 1972 providing a quality service across the Northwest. We have an excellent reputation as your local independent tyre dealer. We are experienced in all aspects of tyres, both performance or standard, together with a specifically tailored service in motorcycle tyres. Customers are happy to come back time and time again. Acroframe was established with the customer in mind. Recognising the need to complete your order in a shorter timescale, to a higher specification, combined with that all important customer service are the very reasons we exist. Our purpose built factory has an environment that is enviably clean and efficient, utilising quality led processes that result in frames meeting exact specifications, delivered when promised and in perfect order. Acroframe's highly trained personnel combined with Quality Management Systems have evolved into the UK's fastest growing profile bending company. Delivering all over the UK with our own fleet of vans, our courteous staff will deliver your frame safely packaged and ready for installation. Solarking Contractors is committed to the successful “Supply, design, installation, set to work,commissioning and handover of various microgeneration technologies (Solar Thermal, Heat Pumps, Solar Photovoltaic) to commercial and domestic customers”. Solarking strives to provide the best quality workmanship and outstanding customer service in the most cost effective manner. Our goal at Solarking is to continue to expand our customer base and services, and through this we will achieve professional growth. We will empower our staff with the education, skills and support they need to realise their fullest potential and perform at the highest possible level. This will enable us to meet and exceed every customer expectation, delivering sustainable energy solutions of supreme reliability and performance. Solarking has developed and implemented a Business Management System that meets the requirements of the ISO 9001:2008 standard to control and monitor the quality of the services and products we supply. In implementing and continually improving this quality management system we aim to exceed both customer and regulatory requirements. Our business objectives will be reviewed and set annually at the Business Planning Meeting by the Managing Director, who is committed to this policy and to the continual improvement of our Business Management System. We will ensure that all personnel contribute to the Business Management System and are aware of the Quality Policy and results of our Business Planning Meetings… Should there be any changes to the ISO 9001 standard or a significant change to our organisation, we will update the management system accordingly and will ensure details communicated throughout the company. We are a medium sized construction company based in the North West of England with over 25 years experience. We provide a wide range of services in both Domestic and Commercial buildings. We have an excellent reputation and provide all types of Building Works from repairing leaks to fully refurbishing your house into your dream home. The majority of our business is captured through word of mouth and a high percentage of our turnover is repeat business. We take pride in providing a personal, dedicated service to each individual, no matter how small or large the project. We are a specialist flooring company based in Rainford, St Helens. Even though we are contract floorers who work around the North West and Merseyside area we never forget our roots and would be more than happy to assist with any domestic job, whether this is to supply and fit or just to give friendly advice where needed. The director and staff have many years' experience in working with all types of flooring from Karndean and Amtico, which is the more luxurious flooring, to simple vinyls, cushion floor and carpet. We pride ourselves on total reliability and quality of installation, and working to time and budget. Complete customer satisfaction is not an aim but an imperative in today's challenging and competitive environment. Everything we do is customer focused. Established in 2006 to service the needs of the construction industry. We specialise in the provision and installation of high quality staircases, balustrades and all types of architectural metalwork. With over 25 years experience, we have built an enviable reputation in the UK for quality, reliability and versatility. Welcome to Artificial Grass by Turfcouk. Artificial grass is one of the most versatile, hardwearing and fun coverings avalible. It's eye-catching, easy to clean, and ready for the rough and tumble of everyday life. How would you like the perfect lawn all year round? If you're sick and tired of watering, pulling weeds and cleaning up muddy footprints, an artificial lawn is the right choice for you! We only supply and install the best quality artificial grass. And with almost no mess or maintence to worry about, an artificial lawn is ideal for people who want a practical, functional and time saving alternative to traditional grass. Plus it is child and pet proof, and what's more, artificial grass feels almost as natural and beautiful as the real thing. Churchill Security Ltd is a leading provider of security services throughout the UK Established in 1993, Churchill Security Ltd is proud to offer a complete range of security guard services throughout the UK delivered by our team of fully SIA licensed and trained guards. Offering static and mobile guards plus key holding and alarm response solutions, we are experienced in providing security guard services to a range of industries including the corporate sector, construction sites, retail establishments, industrial warehouses and one off events. Whether you need temporary one day cover or a long term solution, get in touch today to discuss your requirements. At Garage Doors (North West) Limited, we only supply and fit the best garage doors from the leading manufactureres. We try to keep our prices as competative as possible without compromising on the high quality of our products and services. Why should you choose Garage Doors (North West) Limited for your new Garage Door or your Garage Door Repair? We have over 25 years experience in the trade Proven track record Free on-site quotations Personal, punctual and professional service No hidden charges Highest quality guaranteed Mission Statement We pride ourselves on our second-to-none service giving you a one stop shop for all Garage Door needs. Our aim is for you to be more than satisfied with the quality of our work - and we always tidy up after ourselves too. We will always give our honest advice and we will never pressure you in any way. Rigby Financial offers a wide range of insurance and financial services products for both individuals and businesses. From our base in St. Helens, we provide friendly, bespoke advice and products for clients all over the UK. We're a full service broker delivering everything from your car insurance to business insurance right through to your pensions and life cover. The company was started in 1980 by Ralph Rigby. More than three decades later, the firm has grown in size and reputation. Rigby Financial is now run by his two sons, Simon and Andrew Rigby, and a dedicated, professional team of more than 16 staff. What hasn't changed is that family firm sense of responsibility to our clients. You can always trust us to search the marketplace for the best tailored insurance or financial product for you and/or your business. And if you need to make a claim, we promise we will make the process as pain-free as possible. Crossling are the North of England's largest independent Plumbing & Pipeline Merchants. Crossling has been trading for over 150 years. Crossling stock over 35,000 products from industries leading suppliers. Our broad product range is suitable for both commercial and domestic sectors. Crossling offers next day delivery service either direct to site or to our customers premises. Our trained staff will efficiently deal with your requirements and are availble by phone, fax and email. Crossling trading divisions include Stokplas at Doncaster and Northern Tools & Accessories at Newcastle upon Tyne. Crossling Dumfries is the newest Crossling Branch which opened in 2008 bringing the number of Crossling branches to 14. All Crossling branches have extensive stockholding facilities. The company currently employ about 330 staff with a turnover of over £61 million p.a. Crossling remain a privately owned very successful and growing company. Crossling own brands include Crosco and Nortool Crossling Supply the following major markets: Builders, Plumbers, Heating Engineers Contractors of Domestic/Commercial Heating, Plumbing, Building and Mechanical Services Major Housebuilders Housing Associations Local Authorities Hospitals, Health Service, Care Homes, Social Services Manufacturing and Process Industries Mechanical and General Engineering Shipbuilding, Repairs and Offshore Industry Crossling continue to provide a range of innovative products & services and value for money products to meet our customers requirements.